Apple recently updated its online store to reflect availability of a new VESA mount-compatible iMac, with the tweaked version of the thin all-in-one costing in at $40 more than standard models. First spotted by German Apple blog iFun, the Video Electronics Standards Association (VESA) compatibility is likely to be a welcome addition for users who are already invested in the mounting standard. When Apple first announced the redesigned iMac in October, it was discovered that unlike previous models, the new machines could not be used with standard VESA mounts. In response to feedback from users disappointed in the change, Apple said it was taking the idea of adding the capability into consideration, but offered no concrete details as to when a solution would be made available. The iMac with Built-in VESA Mount Adapter is ready to pair with your favorite VESA-compatible wall mount, desk mount, or articulating arm (sold separately). This iMac doesn't include a stand, so a mount is required. 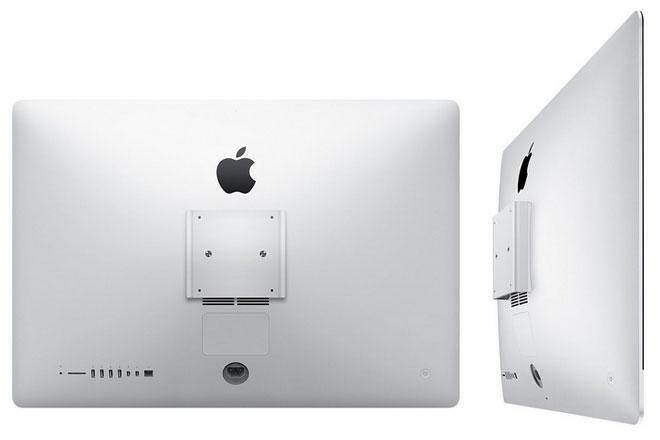 If you don't already have a mount, you can purchase one when you configure your iMac. 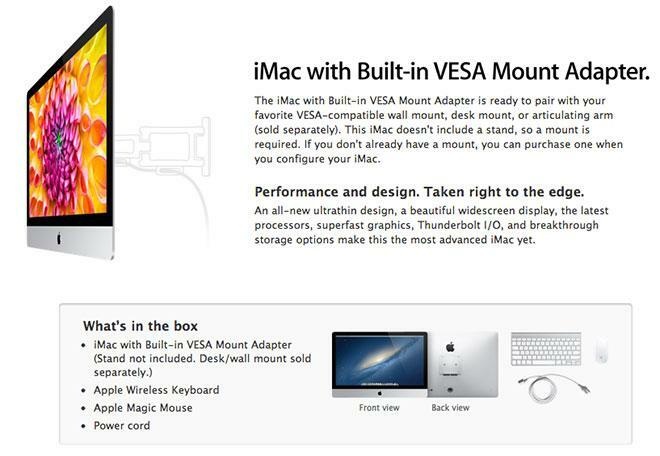 The VESA models are not highly advertised on Apple's Online Store, and are nowhere to be seen on the main product page, though a link at the bottom of the iMac configuration tool will take customers to a webpage dedicated to the new versions. Apple is charging a $40 premium for the ability to use VESA mounts with the iMac. The special configuration is on sale now with shipping estimates starting at 7 to 10 days.